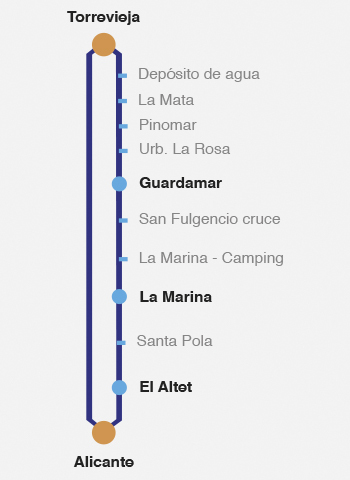 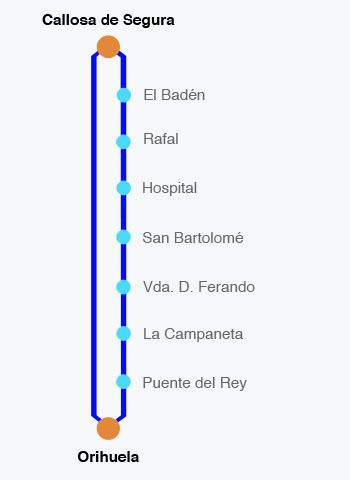 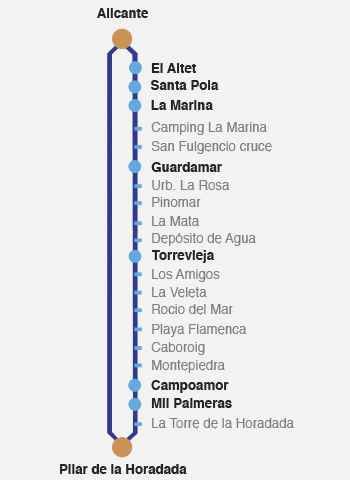 You can see all the timetables of our intercity lines from here. 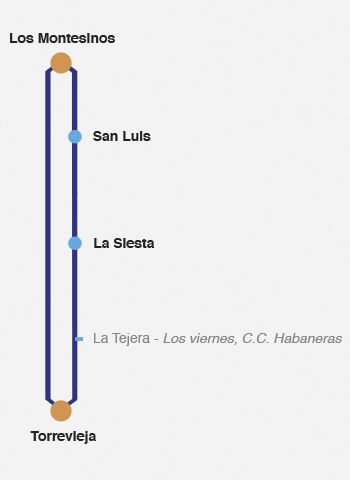 Approximate timetables at stops that are NOT header. They are updated periodically. 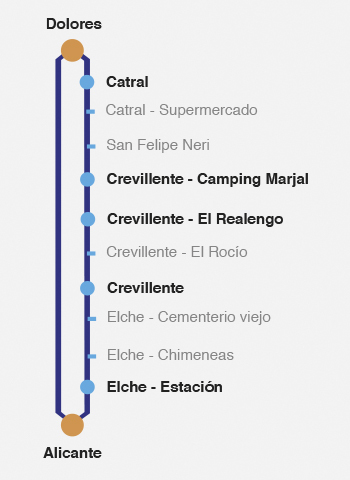 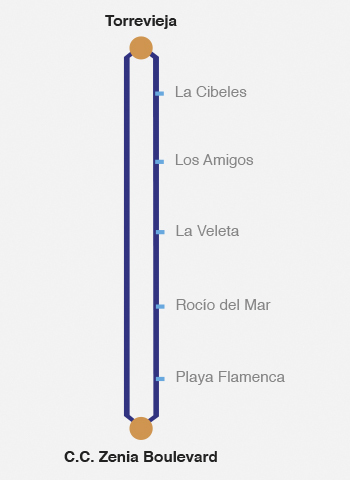 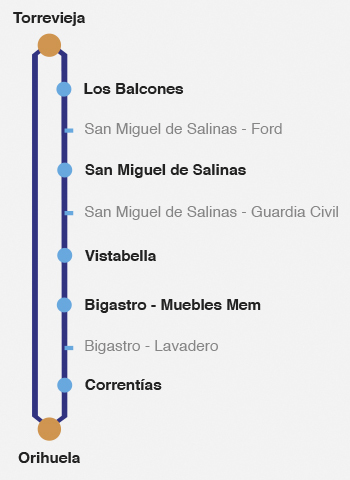 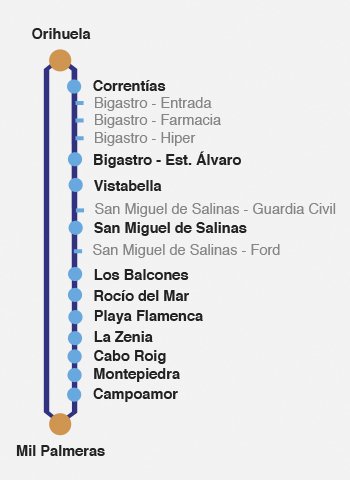 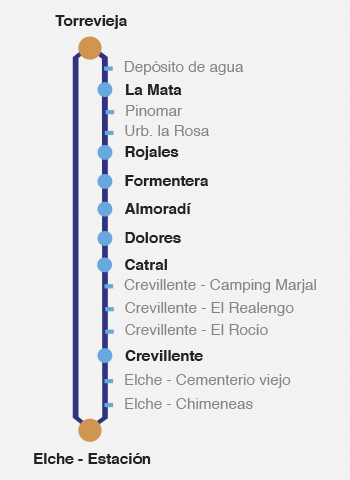 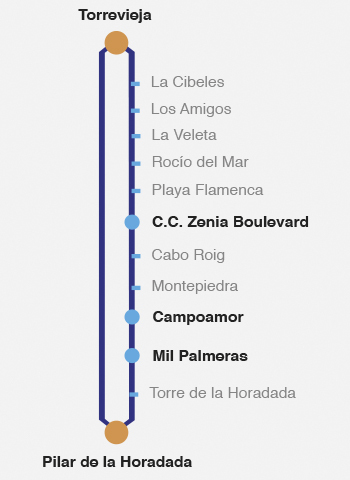 Tickets can only BE BOUGHT ONLINE for the Torrevieja – Alicante/Elche Airport service. Pilar de la Horadada – Torrevieja Hosp.